What Dartmouth student ever said “I want to live in the Choates”? After I received my college application results, I knew Dartmouth would be the school I’d end up at. However, in that stressful but happy period of deciding where to go, there were a handful of schools that tempted me — and not for reasons I originally deemed important. I never thought a campus’s aesthetic was a critical factor in deciding a college, and while it may not be the most prioritized, I have learned that they definitely has an effect on other potential students. Even though I was pretty set on Dartmouth, I decided to check out Georgetown University and Swarthmore College. As it turned out, their campuses were absolutely gorgeous, and their architecture was stunning. Swarthmore’s cohesive stone buildings were complemented by bright flowers of varying species. Georgetown’s gothic, neo-medieval style towers evoked a rich sense of history and portrayed the college’s overall character. Compounded with my repugnance at my then-recent experience with the mildewy Choates Cluster from Dimensions, my resolve to attend Dartmouth diminished alarmingly. For the thousands of students who were much less sure than I was, how could they have chosen Dartmouth over these stunning campuses? “Hotel McLaughlin” has private showers, private bathrooms, a kitchen on every floor, multiple common rooms and study spaces and its very own snack bar. The Dartmouth admissions office Instagram account posted an inside look into dorm life for curious followers — and to no one’s surprise, all of the clean and aesthetically pleasing pictures were of dorm rooms that were as nice as McLauglin’s. But what I realized was that these “special amenities” are really nothing special at all compared to those at other colleges. Many of the quads in dorms at Bowdoin College have their own common rooms. One student at Pomona College raved that the dorms look like “mini-palaces” and exhibit character because of small furnishings like fireplaces and crown tiling. At Yale University, the residential colleges have their own dining halls, snack bars, libraries and activity spaces like gyms, theaters, or music rooms. Liberty University, Regent University and Amherst College are only a handful of the many colleges that have “apartment-style” housing options. One student at Washington University in St. Louis even likened the dorms to castles. Even more amazing than the aesthetics and amenities is that these schools are making their residence buildings more sustainable. Amherst’s newest Greenway residence hall uses a rooftop rainwater harvest system for its bathrooms, reducing potable water usage. Some of its interiors are built with locally-milled wood, and the building is constructed in a way to maximize ventilation and reduce overall energy use for artificial heating and cooling systems. The interior of the newly-built Morton Hall may indicate that Dartmouth is also looking to move in a more modern direction. But the lack of improvement elsewhere on campus shows that significant change may take some time. According to U.S. News & World Report, “Before choosing the best college to attend, it is important for students to test the waters. Making a college visit and touring the campus can be pivotal in a student’s decision to apply to a school.” Whatever stands out to a potential student (good or bad) may have a “disproportionate effect on their decision making,” according to the New York Times. 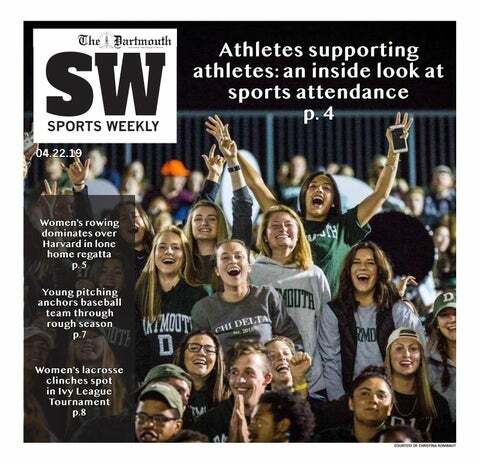 Despite everything else Dartmouth has to offer, the College should remember the importance of the impression the campus makes on visiting students. Considering Dartmouth’s unique location — which has a special appeal for some, but can be a cause for doubt for many others — repelling students with bad housing is the last thing the College should want to do. If Dartmouth wants the brightest and best to commit, its campus should reflect that commitment to quality.